DETROIT — Chase Daniel made the most of his chance to fill in for Mitchell Trubisky, having the best day of his journeyman career. 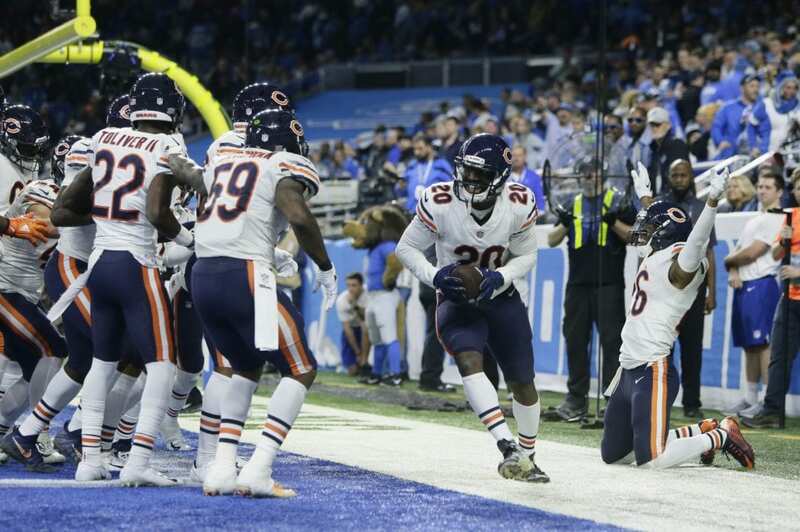 The NFC North-leading Bears (8-3) sealed their fifth straight victory with Kyle Fuller’s interception in the end zone with a little more than a minute left. Chicago broke a 16-16 tie on Eddie Jackson’s 41-yard pick-6 with six minutes remaining. It was Jackson’s second consecutive game with an interception returned for a touchdown. It’s also the fifth career defensive touchdown for the 2017 fourth-round pick. The Lions drove to the Bears 11 on the ensuing drive, but couldn’t score because Matthew Stafford’s pass to Michael Roberts was picked off by Fuller. Fuller’s interception was the 20th of the season for the Bears. And unlike Stafford, he didn’t make any costly mistakes. Bears: RB Benny Cunningham (ankle) left the game in the first half. CB Prince Amukamara was evaluated on the sideline by the team’s medical staff in the second half and returned.